Caroline Quintons Smith has been involved in the business since its inception in 1989 as she is married to Director Simon Quinton Smith. She became an official member of staff on a permanent part time basis in January 2009. 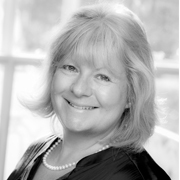 Her varied role within Quinton Edwards and Quintons include the marketing of the businesses, managing the web sites and administrative support.